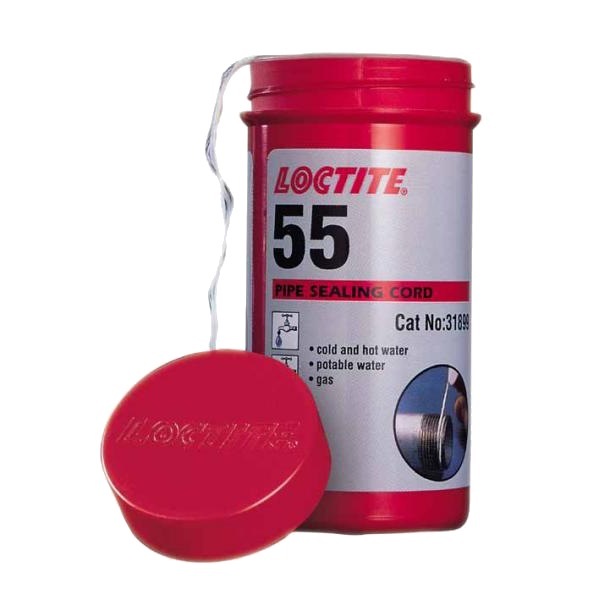 Loctite ® 55™ Pipe Sealing Cord is a non-curing, coated multifilament cord that seals out air and other common gases and fluids. Built-in cutter to easily apply the proper amount of cord. Recommended for sealing metal and plastic tapered pipe threads and fittings up to 4 inch NPT. Allows for post assembly adjustments.